Mental health and music go hand in hand. 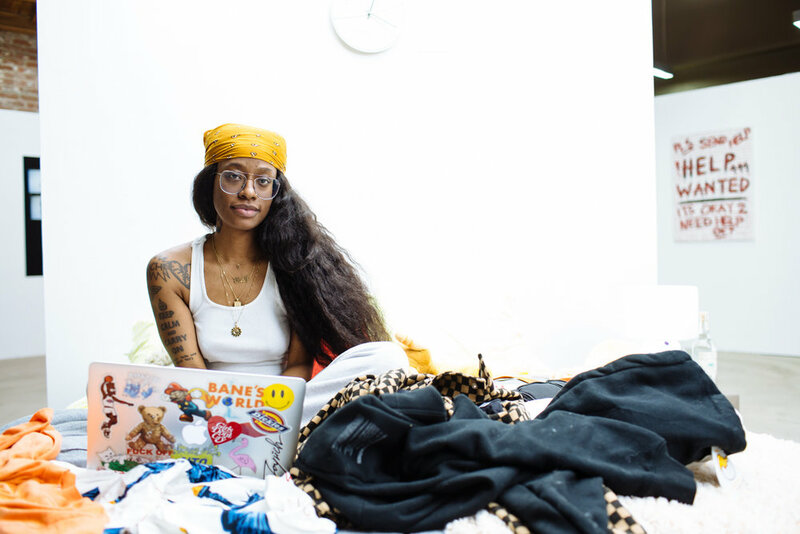 Hit play on Kari Faux’ Cry 4 Help EP, and you’ll immediately understand. The first song, “Medicated,” has the Little Rock, Arkansas native singing, “Here we go again/Another low again/Here we again/Another high again.” There are no truer words to describe this thing called life, reminding you to take the good days with the bad. 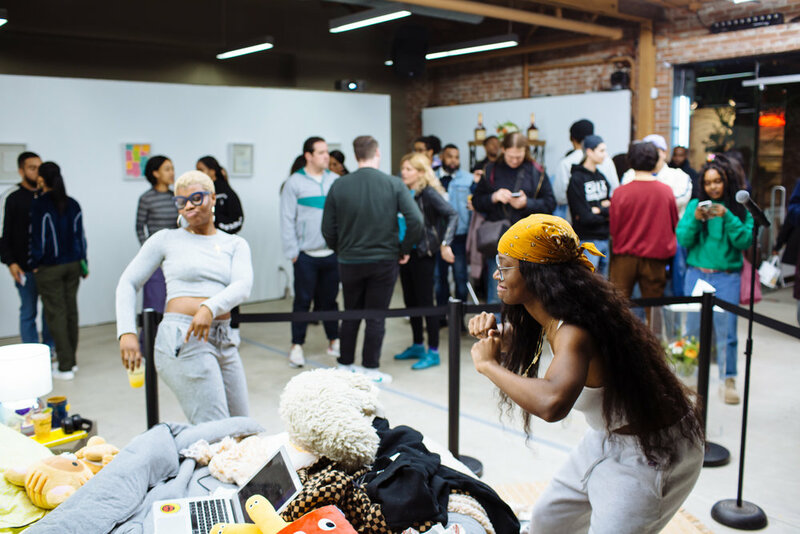 On the evening of her project’s release, she threw an exclusive exhibition/release party at Space15Twenty in Hollywood to celebrate. 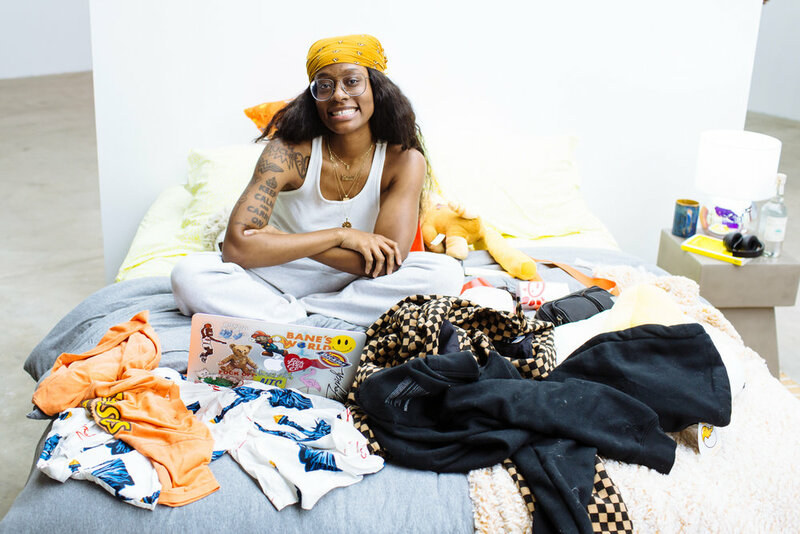 Whether you’re a friend or a fan, in order to talk to her, you had to get inside the bed with her, which was in a makeshift bedroom in the middle of the space. This release party was one of the most creative, captivating, and genius concepts I’ve witnessed in a minute. Every part of Kari was represented through her own artwork on the walls, actual lyrics written on notepad paper, a letter from a fan that helped get her out of depression, BTS photos from the cover art photoshoot in NYC, and the definition of Cry 4 Help in the back of the exhibition. Anyone who’s in the entertainment industry in LA knows about the pressures that come with it. On top of that, most people are struggling just to pay rent. Kari recalls when she had no money and was ready to give it all up, but it was her friends from The Internet that checked her real quick. In fact, Syd sent her their record “It Gets Better (With Time)” which lifted her spirits. Now, she brings that same energy to her audience, not just through music, but through art as a whole. Self-care is a huge part of Kari’s journey, with pedicures and Dave & Buster’s trips high on her list. She discovered that self-care is all about the little things that take your mind off of stressful everyday tasks. Taking into account the depth of the subject matter and transparency in Kari’s lyrics, it was fitting that Cry 4 Help fittingly dropped on International Women's Day.